Home Shop by Category Shaving Creams Taylor of Old Bond Street Lavender Shaving Cream Bowl 150gr. 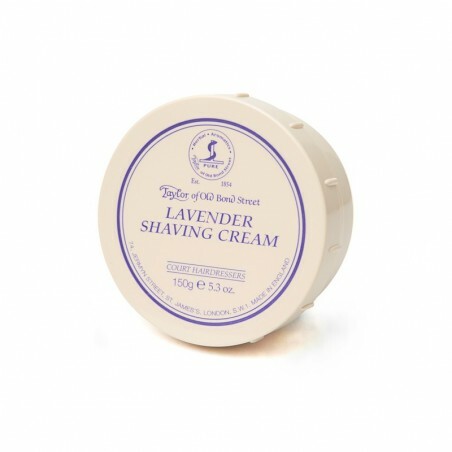 Taylor of Old Bond Street Lavender Shaving Cream Bowl 150gr. 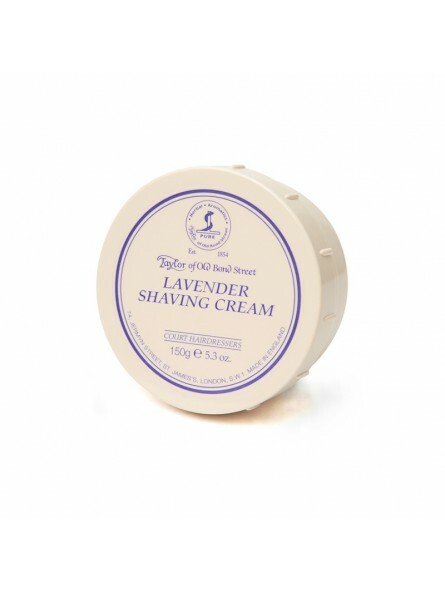 Taylor of Old Bond Street Lavender Shaving Cream Bowl 150 gr. This lavender fragrance shaving cream bowl. A luxury Shaving Cream that creates a uniquely smooth and creamy lather whilst protecting and moisturising the skin to give a better, closer shave. This fragrance is ideal for first-time shavers. This lavender-infused shaving cream has a classically floral scent without being overpowering. This is one of the bestselling creams in the range therefore it won’t leave you disappointed. Lavender notes: Freshly picked lavender with floral, cedarwood and orange undertones.